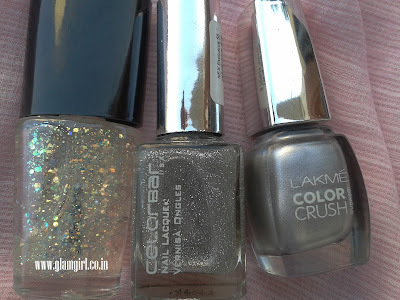 Step 1 Start with silver base nail color. Step 3 Color the nail with black nail color as shown in the picture. 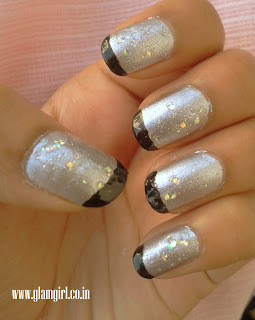 You can take help of french manicure strips to do this step.